With the big skein halved (so that I can be sure that I've knit the first sock from less than half the yarn) I was a good girl and made a tension gauge swatch. It was waaay over, but the pattern calls for 2.25mm needles, so there's not far to go down from there. I tried again with 2mm needles and it was closer, but still a bit big. I'm going to knit half a foot and then check it for size on the target foot. 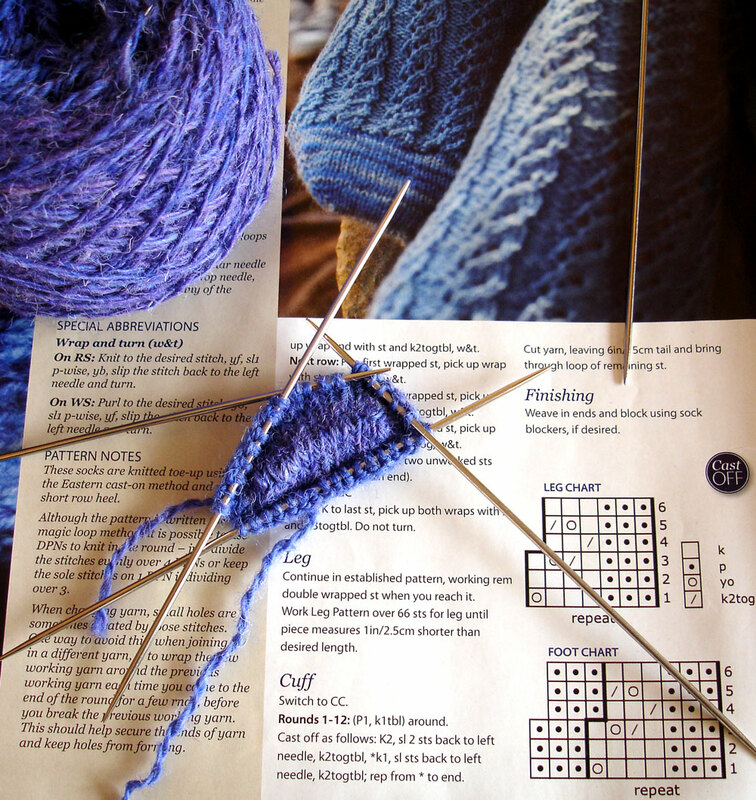 My pattern, Stashbusting Socks from June's Yarn Forward, gives written instructions for the eastern cast-on which is new to me. It's very similar to the figure-of-eight cast-on which I have used before for toe-up socks. I had to abandon the first attempt at the second row because it was too tight. Tip: start working very loosely. Second attempt worked a treat. Very neat.